Look to the Left and Find "Sign NDA." Click it! Go through the process and get the name and address. Go Visit the Store! GREAT "STARTER" OPERATION! GET IN WITH LOW INVESTMENT, LOW RENT! This Pizza restaurant, I ideal for a first-time buyer, or a person wanting to start a brand, or add onto existing business. This Pizza restaurant, is perfectly located in a major brand shopping area. There is plenty of residential housing and commercial business to support lunch and dinner growth. Owners are moving back to Canada to be close to family. So, if anyone is looking to get into the Pizza business NOW it the time. current owner only operates business 5 days per week. 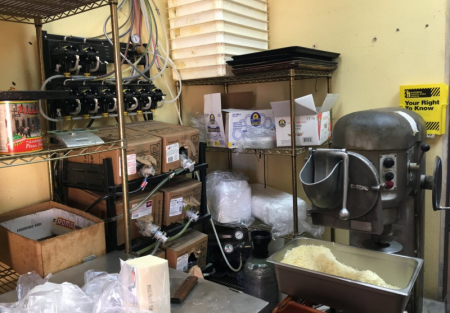 What this business needs are an owner that understands the pizza/restaurant business, a plus, how to build a brand if you are looking to grow into multiple locations. Pizza business by the nature of industry is the easiest food business to grow in my opinion. Don’t wait…make an appointment to see this restaurant as pizza restaurant often sell quickly. This restaurant is in the heart of major shopping and entertainment area. Sales can easily double or triple, that makes this restaurant a must see. So, if you’re in the market of running a single restaurant or starting a Brand you should consider this restaurant. This business can add many concepts to grow the business sales. Low low rent only $3,200 per month. Low cost of entry into the food business. Space can easily add catering. Should be open 7 days per week.